Product prices and availability are accurate as of 2019-04-19 10:57:44 UTC and are subject to change. Any price and availability information displayed on http://www.amazon.com/ at the time of purchase will apply to the purchase of this product. Choose "Buy NEW" to be sure you receive the most up-to-date version. Forms and images are updated every few years to assist you. Recently Updated and Revised in 2014. 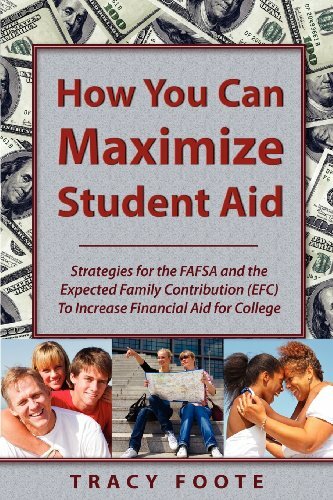 How You Can Maximize Student Aid includes 2013 tax forms and 2014-2015 EFC rules. Each area contains footnote references so you can easily answer any further questions or locate the updated income cut-offs for the 2014-2015 FAFSA application. 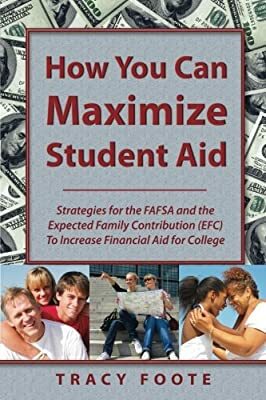 The core concepts to qualify for federal student aid and education tax benefits remain the same from year to year. 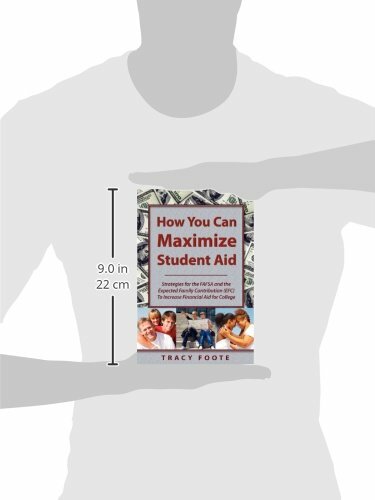 This book contains explanations for: all the components that determine federal student aid, the better places to save, and what you should think about come tax time. The goal is to help you maximize aid while keeping your assets accessible; growing with tax benefits. An in-depth understanding of the Expected Family Contribution will help families and students strategize prior to completing the FAFSA. A mistake on the FAFSA can result in loss of several thousands of dollars in aid. 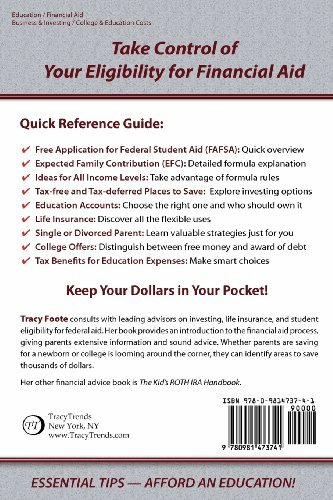 This valuable reference guide will provide you with new ideas and help you prioritize, whether you are saving for a newborn or if college is looming just around the corner.